There is nothing better than creative play. I love seeing my children experience a toy with roll-play, building and other types of play and PLAYMOBIL has so many different play sets to choose from to foster this creativity. 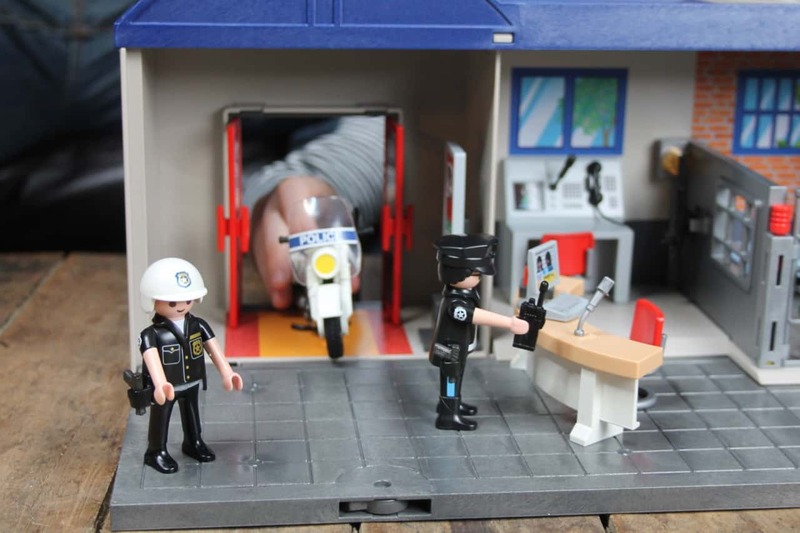 We love the PLAYMOBIL Take Along Police Station because then our children can pretend to be just like Daddy. Hover over the image below to start shopping for PLAYMOBIL toys! My daughter is infatuated with what Daddy does when he goes to work and that he catches the bad guys. 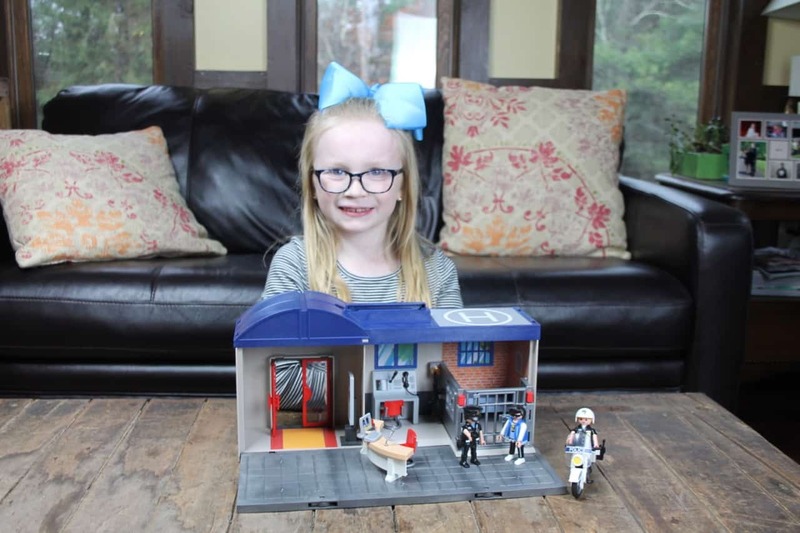 She loves this PLAYMOBIL Take Along Police Station that we purchased at Walmart and mom loves it because all of the pieces neatly fit inside the carrying case. Total win-win. Children develop their fine motor skills when putting together play sets. Children develop socio-emotional development when role playing. Children develop their sense through discovery. Children can communicate their feelings. Children explore their creativity, which is important for outside-the box-thinking. 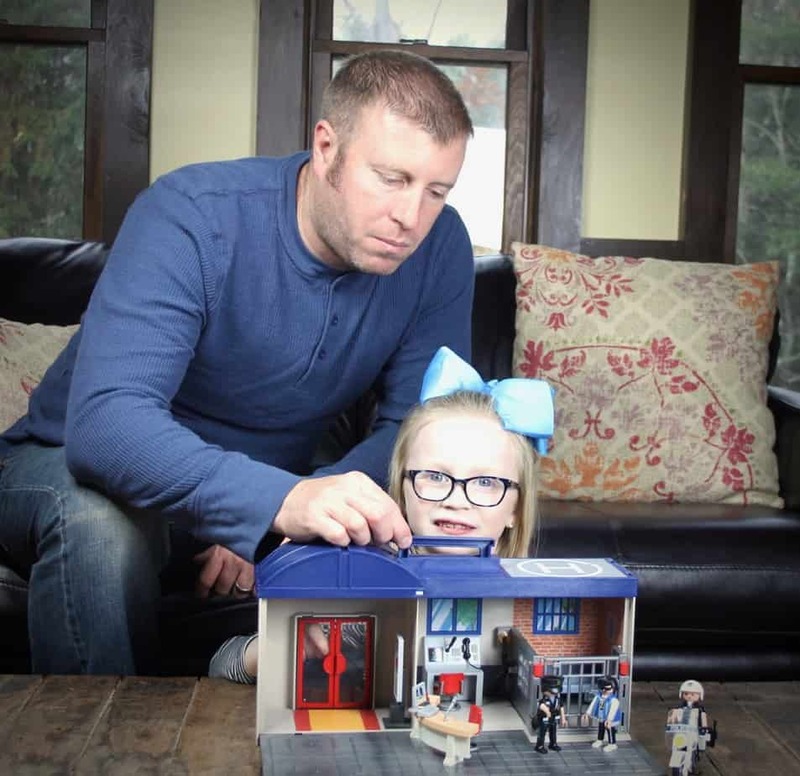 As a former teacher I love the variety of worlds that PLAYMOBIL has created from realistic (police, fireman, animals) to fantastical it encourages our children to use their imagination and really explore these worlds. These playsets help develop cognitive and social/emotional skills and I love to hear the interaction that they inspire. 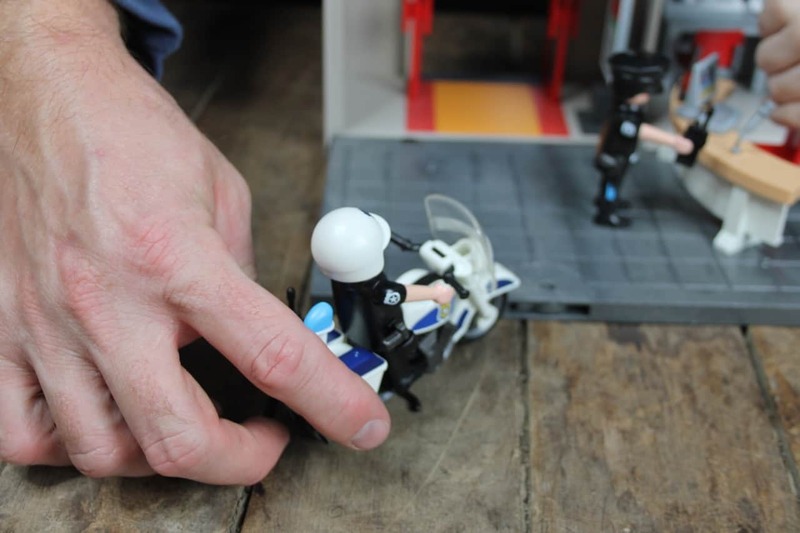 We loved the motorcycles, jail, handcuffs and more that were included in this PLAYMOBIL Take Along Police Station set. PLAYMOBIL really pays attention to the details with these high-quality play sets. There were so many sets to choose from that it was so hard to pick just one. I think next on our list is the PLAYMOBIL School Bus because we love to play teacher too. There is nothing better than to watch my husband play with his daughter. He adores her and watching him interact with her with an element of what he does on a day-to-day basis makes this Mama’s heart melt. 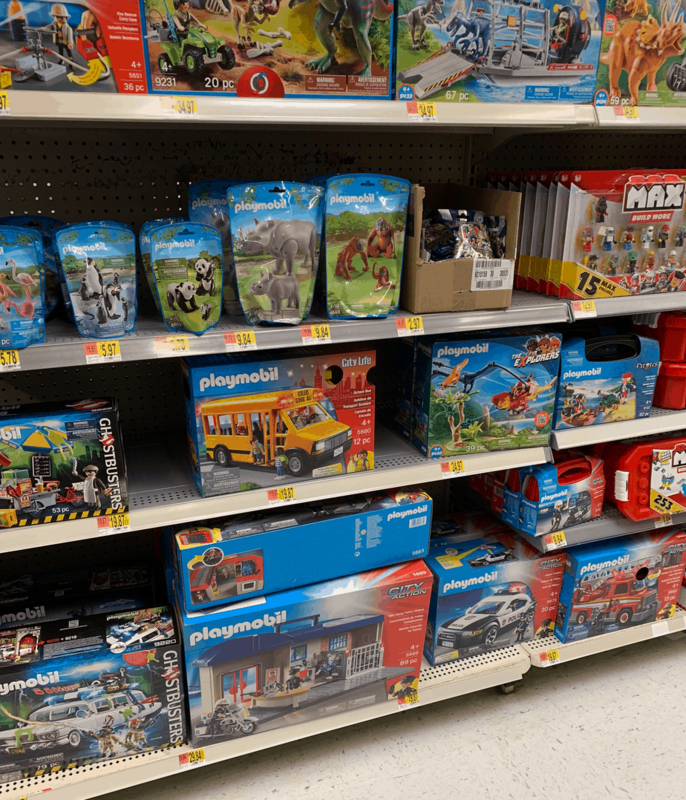 Walmart carries a large variety of PLAYMOBIL toys. Be sure to pick up one or two this holiday season. 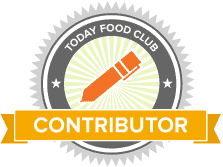 Your children will thank you.